What are the New age 3PLs doing to cope with stagnating e-tailing demand? Overall, Q1-CY17 followed the cyclical nature of industry and returned to levels seen in Q1-CY16. 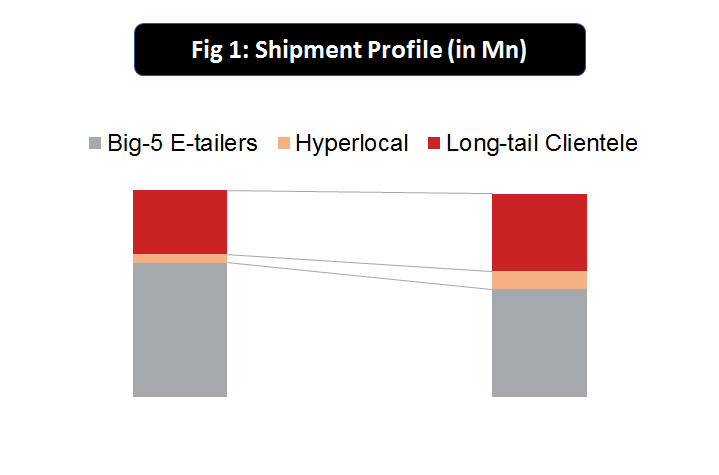 Although shipments volume and 3PL revenue reduced, e-logistics companies further diversified their portfolio and improved their unit economics. The E-logistics industry has seen limited growth from Q1 CY’17 to Q1 CY’16. The industry experienced a slump from the previous quarter primarily due to post festive slowdown in the e-tailing industry. Stagnation in e-tailing industry coupled with increasing share of captives reduced the potential of 3PL players. To cope with the limited growth through e-tailing, the industry started diversifying itself in terms of shipments and clientele. This reflected in the increase in share of hyperlocal by 500 basis points and long-tail by 700 basis points. 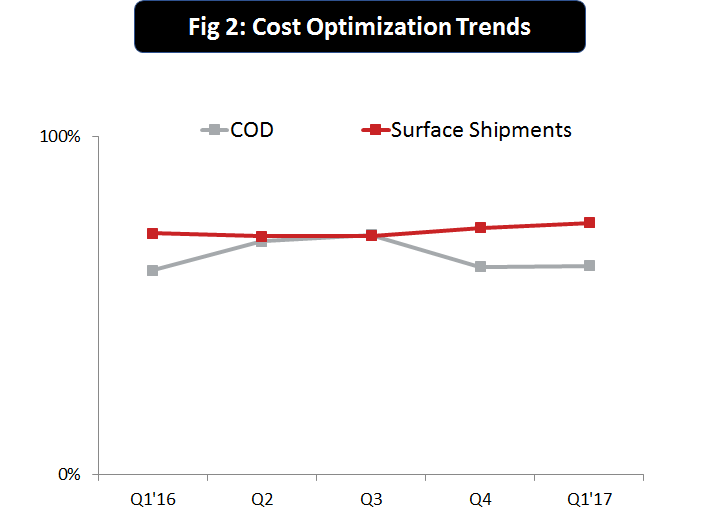 This stagnation also forced the e-logistics players to improve the unit economics by increasing share of surface shipments and experimenting with alternate modes of delivery (ADMs).